Even though everyone here at autoX loves the TVS NTorq, we've been conveniently ignoring it for the last couple of weeks. And before you think it's something to do with the scooter, let me tell you that's not the case. The reason for that is Delhi's biting cold and smoggy weather, which deters my colleagues from riding the NTorq. However, I do occasionally take it out, especially when Google maps show unforeseen traffic build up and congestion on roads that I usually take. 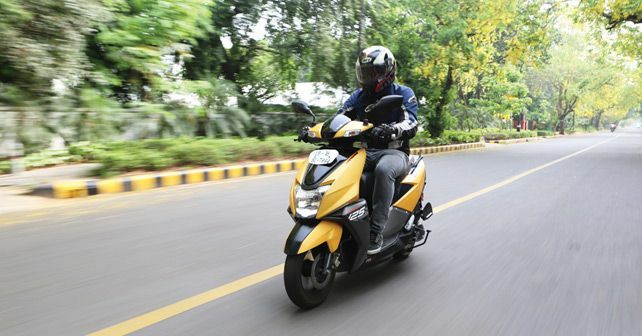 The best part about the NTorq is that it’s fun and peppy to ride in traffic. So, when other commuters are stuck in jam on roads that refuse to clear up, I can simply filter through the traffic. As for problems, the battery occasionally does act up, and it takes quite some effort to crank the engine up, especially during cold starts. Another thing that we've noticed off late is that mileage has dropped significantly, and the NTorq now returns around 35km/l. Anyway, it's due for its third service, so hopefully it'll go back to being fuel efficient again after that.